Our Mission: Educating and Empowering Latino/Hispanic families and the community at large. 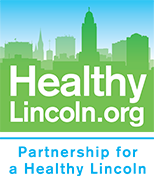 El Centro provides family, youth, education, and health programs and outreach for Lincoln’s Hispanic/Latino community, providing tools to help our community improve their quality of life. Following our mission, we believe that nutrition, exercise, and physical activities that involve the whole family are an important component in empowering our community to live longer, healthier lives. For more information about El Centro’s wellness programs, contact Veronica Yunge at veronica@elcentrone.org. For general information call 402-474-3950 visit our website.